Years ago, we found a large shell on a beach (somewhere on the Atlantic…I’m not sure where). It was already showing its spiral interior. I put it in the front flower bed and noticed its whiteness standing out among the brown leaves/seeds from last fall and the cold-battered leaves of some new growth. I don’t remember the pores being as deep on the outer surfaces. That texture is quite a contrast with the smooth interiors. I’ve always liked spirals. Are they a representation of time – back to the past or forward to the future? Or are they a journey to the unknown? 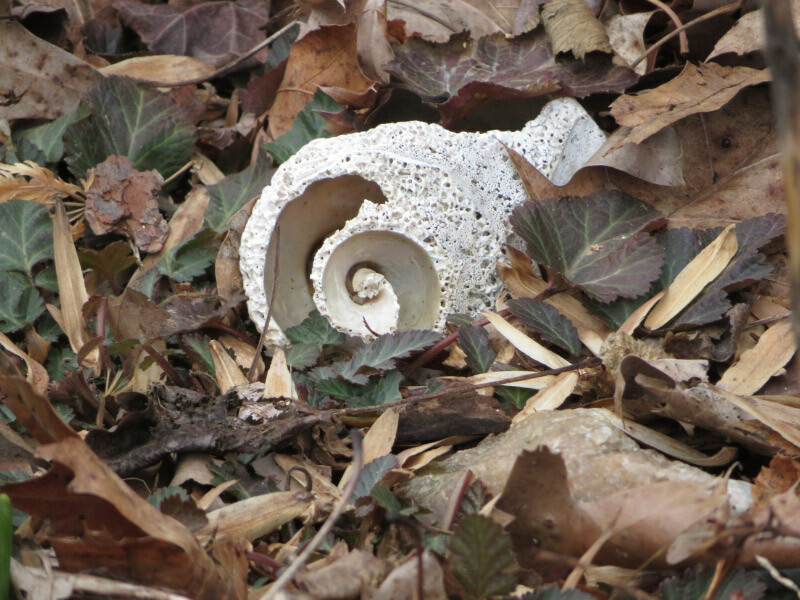 Finding this spiral was a reminder of a pleasant vacation…and a little serendipity to enjoy on a winter day. I was thinking about spirals so much that my next Zentangle included a lot of them!